It has been awhile! but the ZvP Overlord Path Guide is finally finished. Some notes before I get started, orange circles indicate good locations to put zerglings early in the game for scouting, the red and yellow lines as always are your first and second overlords and the 3 and 4 numbers indicate good locations for your third and fourth overlords. One note about ZvP, is in general your first overlord will die, whether to an opening phoenix or a stalker. This is generally unavoidable, so just be prepared to have your overlord die and have another one to replace it. That is also generally why only 1 overlord is sent across the map, so the second one doesn’t also die. 16-bit is one of the more simple maps. Most of the time they will take the back base, so send your first overlord in until you see their tech and then send it to their natural to check their gas timings. Your second overlord will go out front to check for incoming probes / cannon rushes. Pretty much exactly the same philosophy as 16-bit. Something new I put here is you can bring your second overlord back to watch over your natural once you have seen the probe come in. This is a personal preference kind of thing, and should only be done if it is a suspected cannon rush. Again, essentially the same idea as acid plant and 16-bit. Oh darkness sanctuary, the bane of overlord paths. The coloured circle indicates which location your opponent as spawned. Follow the corresponding colored line once you know which location your opponent is. I placed the orange circles (lings) assuming the opponent was in the green starting location (cross spawn), since adding them for each case would make the image too messy. Just rotate their position to match based on where your opponent spawns. Again, Dreamcatcher has the same idea as the majority of maps for ZvP overlord pathing. Lost and found is also the same, however one note I will put here is cannon rush is more powerful on this map than the others since you can easily wall off cannons on the low ground behind the minerals in the natural. In addition, a low ground cannon can get in range of one of your gases, which restricts your ability to respond with ravagers. Just be extra cautious of cannon rushing on this map. I put 2 yellow and red lines on redshift just based on which natural base each player takes. I personally like to take the gold base really quickly, often as my natural, however I know a lot of players like to just stick to the blue bases (including Protoss players). 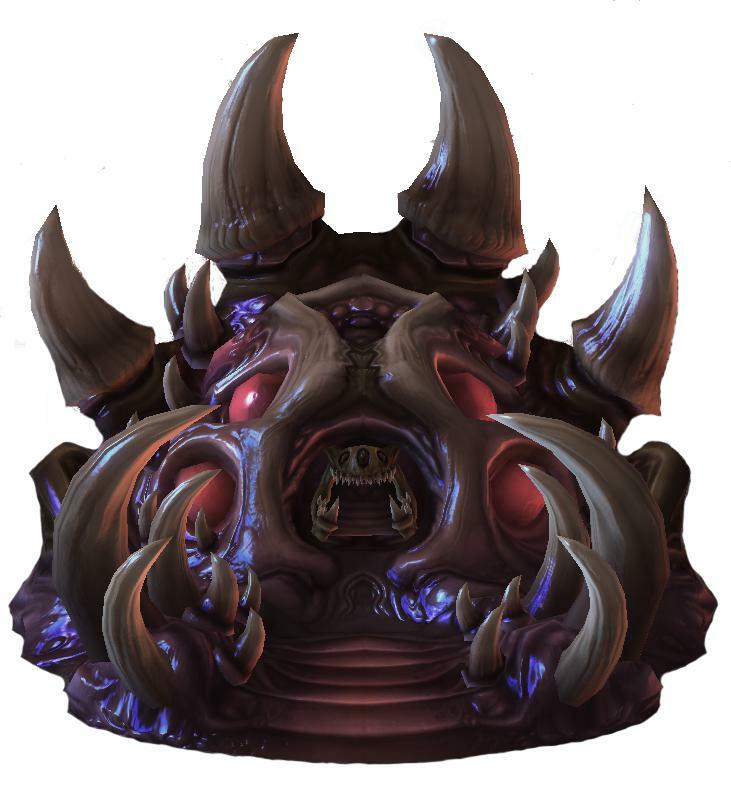 The zergling that sits outside of their first blue base, can go inside to watch for their third if they take the gold and don’t wall off the blue base.